As seen at my local post office. F*ck You Whale, and F*ck you Dolfin! They forgot the second L in “Doll”. Dollfins are not fish, they are mameills. 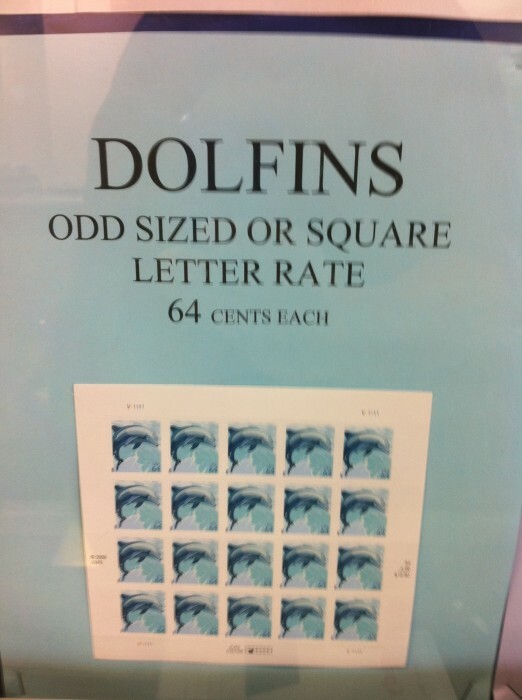 Now you’re just spelling things wrong on porpoise! 64 cents? What’s a square letter exactly? A card or something? Literally, an envelope shaped as a square. I think it has to be above a certain size, though.